Fabretto students in Nicaragua were introduced to Computer Science and global collaboration in LUV’s Global Video Game Designers course this fall. The newest addition to Level Up Village’s network of Global Partners in Central America is Fabretto Center, an organization that works to improve access to economic opportunities through education and nutrition. Fabretto works with more 18,000 underserved students and their families at seven centers and more than 300 local public schools in Nicaragua. Level Up Village was introduced to Fabretto through NicaPhoto, LUV’s first Global Partner in Nicaragua. This partnership is indicative of how LUV and its partners work to build capacity. Karen Orozco, who has been teaching LUV curricula at Nicaphoto for two years, spent a couple weeks last school year helping train Fabretto’s dedicated teachers how to implement LUV’s student-centered courses. “Working with Fabretto has helped us double our reach in Nicaragua. This year we expect more than 500 Nicaraguan students to take Level Up Village courses. With partners as committed as Fabretto and Nicaphoto, we know each student will get the full benefit of our global STEAM programs,” said Sean Canavan, VP of Global Partner Operations at Level Up Village. “Thanks to our teachers, who take ownership of these initiatives and convey their knowledge and enthusiasm, students become interested in acquiring new knowledge, develop their creativity and are fully motivated and engaged, as a result,” said Cesar Dubois, Director of Programs at Fabretto. 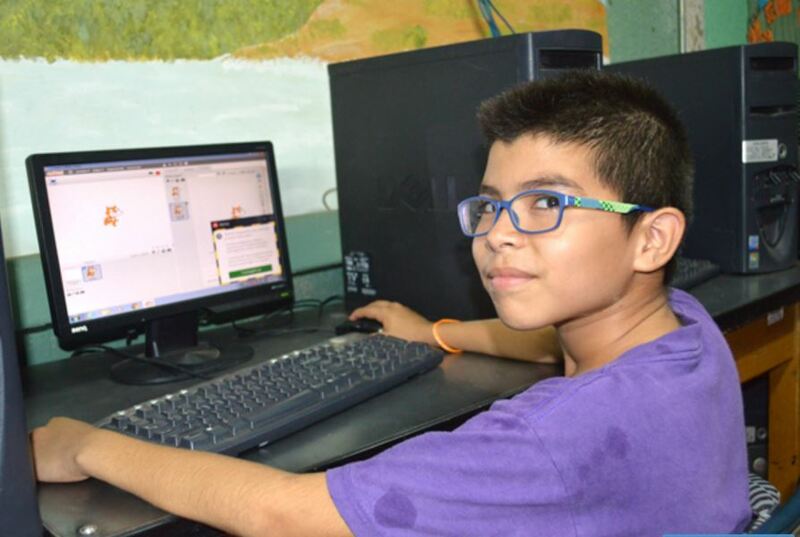 Starting this Fall, students at the Fabretto Center in Acahualinca learned to use MIT-designed software, Scratch, to design video games in LUV’s Global Video Game Designers. 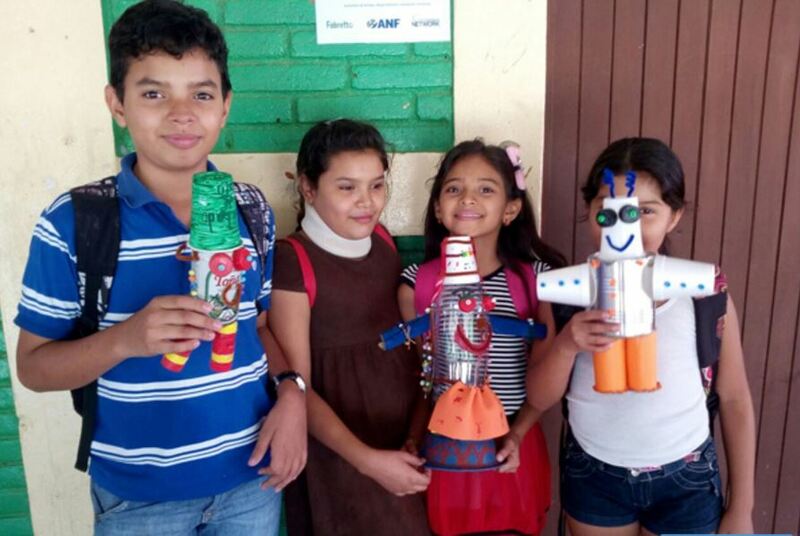 “In this course, children can create their own animations, change colors, include sounds, all through fast and easy steps,” said Cesar Dubois, Director of Programs at Fabretto. Next, students co-designed a video game with partner students in the United States by working on shared project files and exchanging video messages via LUV’s global communications platform. Lessons included how to create animations. change coloar and add sounds to their video games. Fabretto students also enjoyed collaborating on video games with partner students in the U.S. Meanwhile, another group of students at Fabretto’s Somoto Education center took LUV’s Global Storybook Engineers. This course took them on a lively journey through popular children’s books from around the world, including Jabuti the Turtle and Strega Nona in. Students learn to think like engineers while using materials such as spaghetti, marshmallows, cardboard and rubber bands to create and iterate solutions to the dilemmas faced by the heroes of each book. These student projects were made of recylcable materials during LUV’s Global Storybook Engineers course. The combination of literacy and engineering is an effective to generate interest in STEM. In addition to showing off their creations, students asked each other questions about their projects and their cultures by exchanging video messages. Through this experience, they not only acquired STEAM skills, but also gained global competency through virtual interaction. “Thanks to our teachers, who take ownership of these initiatives and convey their knowledge and enthusiasm, students become interested in acquiring new knowledge, develop their creativity and are fully motivated and engaged as a result,” said Cesar.